Last Friday was one of those days. You know the ones, they start badly and just get worse and worse. Mine started with the discovery that Tess had done a poo on the bathroom floor. This was pretty annoying but at least it was solid and mercifully close to the toilet bowl for swift dispersal. Apologies if this is too much info for you – if you have a dog or a cat (or perhaps even a small child) you’ll understand that accidents do happen! Plus, it’s a relatively rare occurence, so easily forgivable. However I was in a mad rush that morning – we were due to drive up to Liverpool for a weekend canal boat trip – but first I had to pop to the hospital to get the results for a minor op I had a couple of weeks ago. My phone battery was flat so I plugged it into my power monkey to charge whilst I was on the move. 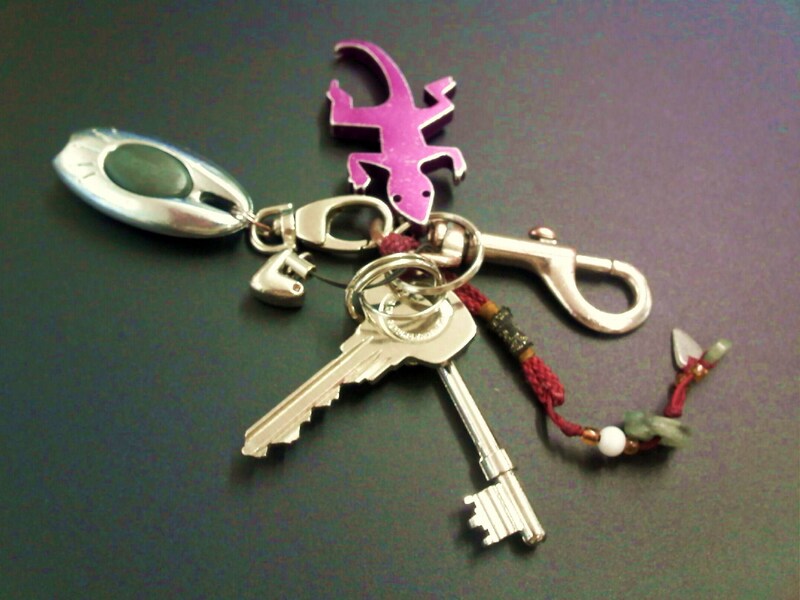 Just as I was about to leave – disaster strikes – where are my keys? Shouting out with frustration (always ridiculous as I was the only one in the house) I ran around looking for the keys. The dog thought it was a great game and was no help at all as she chased me up and down the stairs grabbing my trouser legs, tail wagging madly. All to no avail as my keys were nowhere to be seen. Running out of time to catch the train I grab the back door keys, reasoning that one of my neighbours will be in and I can happily hop, skip and jump their garden fences into my own garden. I peg it to the train station to see the train pulling away from the platform as I arrive. Not good but I can still make my appointment via another route. Once on my way I try to phone G to make sure he will be at the house in time, with house keys, to meet Beth who we’re taking up to Liverpool in the car. No phone. Where is my phone? I must have left it at home in my mad panic to leave. Now, I don’t know G’s phone number from memory (sad but true) so I think I’ll have to phone my dad from a payphone and get G’s number from him. Still ok. I make it to the hospital on time and tell the receptionist I am here. She doesn’t have me on her system because I am a whole week early! Ismile through gritted teeth and tell her it’s better than being a week late and trudge back out again. I try to call my dad from a payphone – no answer from him and I waste a pound even though it doesn’t even get through to his answerphone. I guess payphones have to make their money somehow. I remember when it was only 5p to make a call. Them were t’days. Having now wasted two hours of my day, on arriving back at my house I endeavour to get back in. My back door key plan is a total failure as none of my neighbours are in, not even the ones that work shifts OR the 76-year-old pensioner. Neither of the two payphones I tried were accepting coins or cards and there were no street facing offices open that I could beg to use their phones. Only one thing for it – I would just have to wait for Beth and hope she found the house ok and use her phone to call my dad. To cut a long story short, we finally get back into the house, and look for my phone without any luck so I barred it and we got on our way to Liverpool and a long weekend of relaxing canal boating. Later that night I get a text from my dad. My phone has been found – it dropped out of my bag just outside my house and I can get it back on Sunday, thankfully. You never break something or lose it forever when it’s been insured (or when you are fed up with it). Honest people will always return a mobile phone (mine is rubbish which probably helped). Keys. You lose 'em, you find 'em.